Eagle Media, the Publishers of the Butler Eagle and Cranberry Eagle, have purchased Pittsburgh City Paper from Steel City Media, Eagle Media President Vernon L. Wise announced this morning. 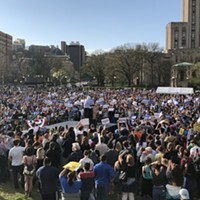 "We've met the new owners and they are committed to producing the same quality content that we've been putting out weekly in print and daily online at www.pghcitypaper.com," said CP Editor Charlie Deitch. continue to serve the city in a similar manner through local, experienced ownership. Steel City Media has decided to focus its full attention on its radio properties and will remain active in the Pittsburgh market. build on the foundation that the Frischling family and their dedicated team of employees have built over the past 25 years, and he plans continuous improvements to both the print and digital products. 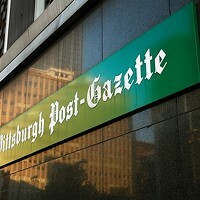 While no changes in personnel are anticipated, Smith added, “The Pittsburgh City Paper is a wonderful addition to our group of publications and allows for professional growth for all our employees in Butler and Allegheny counties.” The sale includes the Pittsburgh City Paper digital site www.pghcitypaper.com, as well as burghbargains.com, and the CPHapps app. Eagle Media Corp., which is headquartered in Butler, owns and operates the Butler Eagle, the Cranberry Eagle, the Butler Color Press, and Harmony Outdoor.